DP-6325L airless line striper painting machine is a medium output piston pump paint sprayer machine for medium size parking lots, school sports field, street etc. line painting job, good for your continuous small to medium line striping requirements. The line paint machine support one guns spraying only. 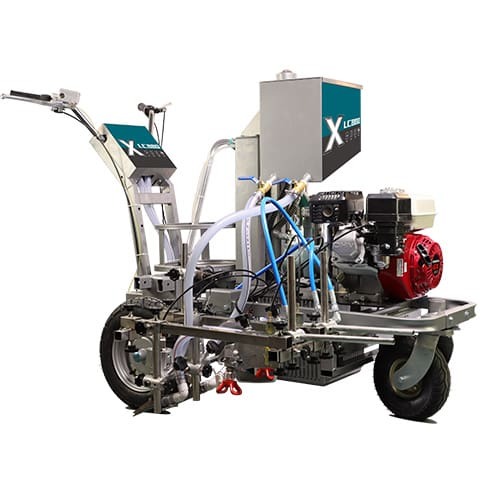 Powerful fluid pump is ideal for low to medium viscosity traffic paints spraying.